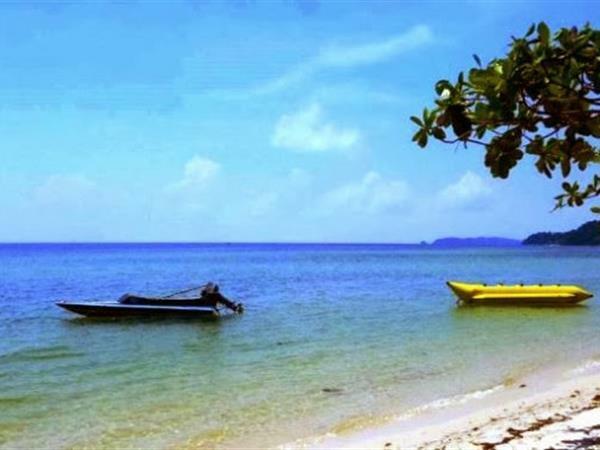 Melur Beach is located on the west side of Galang Island, in Barelang, Tanjung Pinang or some 45 km south of Batam island. This beach has white sand along the coast with palm trees and windy nuance. The beach is becoming one of the main tourist destinations in Batam Island and it crowdly visited by many tourists for the panoramic scenerie, clean beach and crystal clear water. Melur Beach is very suitable and comfortable for your holiday in Batam while eliminating fatigue from the hustle and bustle days. This beach that has 20-30 meters wide and a coastline for about 100-200 is contained in the V Barelang bridge area, named Tuanku Tambusai Bridge. Those who have visits to see the beauty of the stretching Sulfur bridge will better to visit this beach. The visitors at this beach can do various activities like swimming, playing in white sand and sailing or just having fun at the beach and doing exercise like beach soccer, beach volleyball or others. Moreover, Banana Boat is also provided for adrenaline water sports. Those who love swimming, you can swim up to 500 meters without having to fear for its depth, as the uniqueness from this beach, it has very gentle land contours, up to 500 meters from the coast that is rarely found at other beaches. The entry point to Kepulauan Riau province is at Batam city. From Hang Nadim airport in Batu Besar Batam, the visitors could take a private car or a Metro Trans (public transportation in Batam) for Rp3,000 to Rp5,000. Alternatively, you can also take a taxi to enjoy the trip, or rent a car for Rp500,000 per day.